Bathroom's can be tricky spaces to design. They are often some of the smallest rooms in a house, but a place where we end up spending a decent amount of time in. If your bathroom is a bit neglected, then it is time to pay it some attention. Renovating your bathroom can create a space that feels like your own personal spa and a space that you will enjoy spending time in. 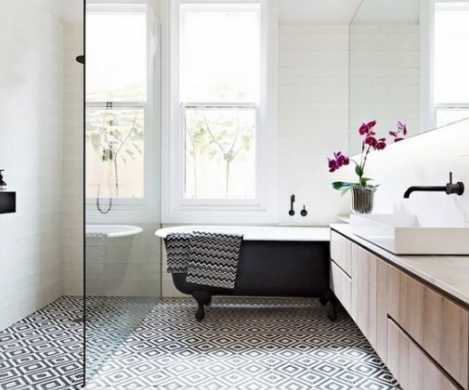 If you're feeling overwhelmed by the task of a bathroom overhaul, we have some easy tricks that are budget friendly and simple fixes that will elevate your space. 1.) Tile - if you want to add some personality to your space that won't go out of style, stick with tile. Tiling your bathroom is a budget friendly design choice, although recommend hiring a tile specialist to do this for you. 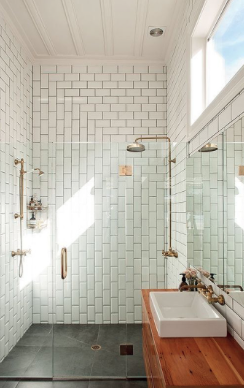 There are thousands of different tile options, but nothing beats the classic subway tile (bonus: it is also one of the cheapest tiles available). You can mix and match different colors and patterns and create a timeless design. 2.) Vanity - updating your vanity is an instant way to change the look of your bathroom. There are thousands of vanities to choose from, but we recommend choosing one that has a classic sleek design that won't go out of style, but brings a modern feel. 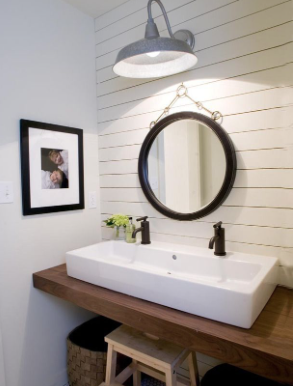 If your bathroom is small and you need extra space, focus on a vanity with plenty of storage space and if you have a larger bathroom and have more options, you could choose a vanity with more design flair. 3.) Paint - painting is definitely the easiest thing you can do to change the look of your bathroom. 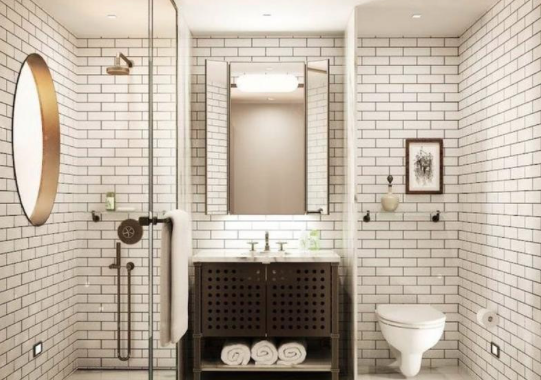 We definitely love the idea of adding your own personality and look to a bathroom so get creative! An easy way to incorporate some color without overdoing it would be to paint an accent wall. Having one wall painted in a more vibrant color and the other walls in a neutral color is a great way to make your bathroom look larger. We love the charcoal grey trend to add a relaxing and modern feel to the space. Newer PostBest quick summer getaway! Older PostEXCLUSIVE New Listing Alert - Coming Soon!